Arncliffe, Forest Road. Mark II. Avalon Beach, Cabarita Road. Mark II. Avalon Beach, Elizabeth Street. Mark III/IV. Avalon Beach, Gunyah Place. Mark III/IV. Avalon Beach, Kevin Avenue. Mark II. Avalon Beach, Marine Parade. Mark II. Avalon Beach, Milga Road. Mark 1. Avalon Beach, Riverview Road. Mark II. Burnt down 2013. Avalon Beach, Riviera Avenue. Mark II. Avalon Beach, Riviera Avenue. Mark III/IV. Avalon Beach, Riviera Avenue. Mark I.
Avalon Beach, Wollstonecroft Avenue. Mark III/IV. Balgowlah, Woodland Street. Mark I.
Balgownie, Hudson Avenue. Mark IV. Beacon Hill, Kokoda Crescent. Mark IV. Beacon Hill, Landy Place. Mark I.
Beacon Hill, Warringah Road. Mark III/IV. Berowra, Gwandalan Crescent. Mark III/IV. Bilgola, The Serpentine. Mark II. Demolished. Bilgola Plateau, Plateau Road. Mark III/IV. Bilgola Plateau, Plateau Road. Mark II. Blackwood (VIC). Mark II. Relocated from ?? Bradbury, Alliott Street. Mark II. Bradbury, Bangalla Avenue. Mark III/IV. Bradbury, Bow Bowing Crescent. Mark I.
Bradbury, Guise Road. Mark I.
Bradbury, Poplar Crescent. Mark III/IV. Bronte, Dickson Street. Mark II. Carlingford, Balmoral Place. Mark I. Demolished. Carlingford, Edinburgh Avenue. Mark IV. Carlingford, Snowdon Avenue. Mark II. Carlingford, Westminster Avenue. Mark I. The original Beachcomber. Clareville, Hudson Parade. Mark II. Clontarf, Ogilvy Road. Mark III/IV. Demolished. Doncaster East (VIC), Regal Avenue. Mark II. Demolished. Elanora Heights, Kalang Road. Mark III/IV. Elanora Heights, Marinna Road. Mark II. Elanora Heights, St Andrews Gate. Mark II. Epping, Stanley Street. Mark I.
Faulconbridge, Russell Avenue. Mark II. Faulconbridge, Moore Crescent. Mark III/IV. Figtree. Garden Avenue. Mark II. Forestville, Arthur Street. Mark I.
Forestville, Boree Road. Mark IV. Forestville, Lady Davidson Circuit. Mark III/IV. Forestville, Milham Crescent. Mark II. Frenchs Forest, Cliff Point Place. Mark II. Frenchs Forest, Greendale Avenue. Mark IV. Frenchs Forest, Nandi Avenue. Mark II. Glenbrook, Brook Road. Mark II. Greenwich, Gore Street. Mark II. Greenwich, St Vincents Road. Mark II. Hughes (ACT), Webster Street. Mark II. Demolished 2015. Hunters Hill, Barons Crescent. Mark I.
Killarney Heights, Tipperary Avenue. Mark II. Kyle Bay, Inala Avenue. Mark II. Lapstone, Governors Drive. Mark II. Lugarno, Kims Avenue. Mark III/IV. Lugarno, Kims Avenue. Mark I. Mount Pleasant, Rose Parade. Mark III/IV. Mount Riverview, Bunbinla Avenue. Mark III/IV. Mount Riverview, Nichols Parade. Mark II. Newport Beach, Palm Road. Mark III/IV. North Epping, Eastcote Road. Mark II. North Narrabeen, Powderworks Road. Mark II. North Rocks, Wentworth Avenue. Mark II. North Turramurra, Banks Avenue. Mark II. Padstow Heights, Riverview Road. Mark II. Palm Beach, Barrenjoey Road. Mark III/IV. Palm Beach, Bynya Road. Mark III/IV. Penrith, Bel Air Road. Mark III/IV. Port Kembla, Dovers Drive. Mark I.
Riverview, College Road South. Mark II. Demolished. South Turramurra, Hicks Avenue. Mark II. South Turramurra, Parkinson Avenue. Mark II. Templestowe Lower (VIC), Glenair Street. Mark II. Thornleigh, Yarrabung Avenue. Mark II. Turramurra, Glengarry Avenue. Mark I.
Turramurra, Leeds Place. Mark II. Valley Heights, Green Parade. Mark III/IV. Wahroonga, Ada Avenue. 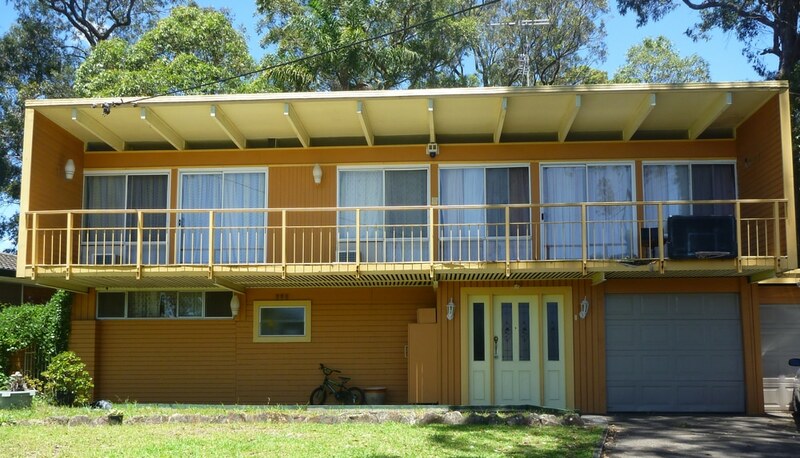 Mark I.
Warriewood, Narrabeen Park Drive. Mark I. West Pennant Hills, Cheyne Walk. Mark II. Wheeler Heights, Kirkstone Road. Mark II. Wheeler Heights, Ennerdale Crescent. Mark II.